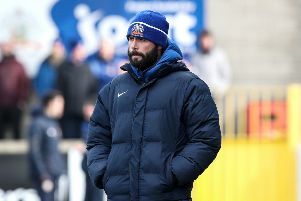 Glenavon’s Europa League opponents KR Reykjavik have replaced their manager and coaching staff. Manager Bjarni Gudjonsson Eggert had his resignation accepted following the latest league defeat. KR are sitting tenth in the table after a poor start to the season and after losing five of the last six games the manager and board decided it was time for a change. During his playing career Gudjonsson signed for Newcastle United in 1997 for £500,000 and also had spells with Stoke City and Plymouth Argyle. Glenavon leave for Iceland on Wednesday for the first leg of their Europa Legaue tie on Thursday night. “I am aware of the changes at the club,” said Glenavon boss Gary Hamilton. “Usually when a new manager comes in the players respond so we will have to wait and see what happens on the night.